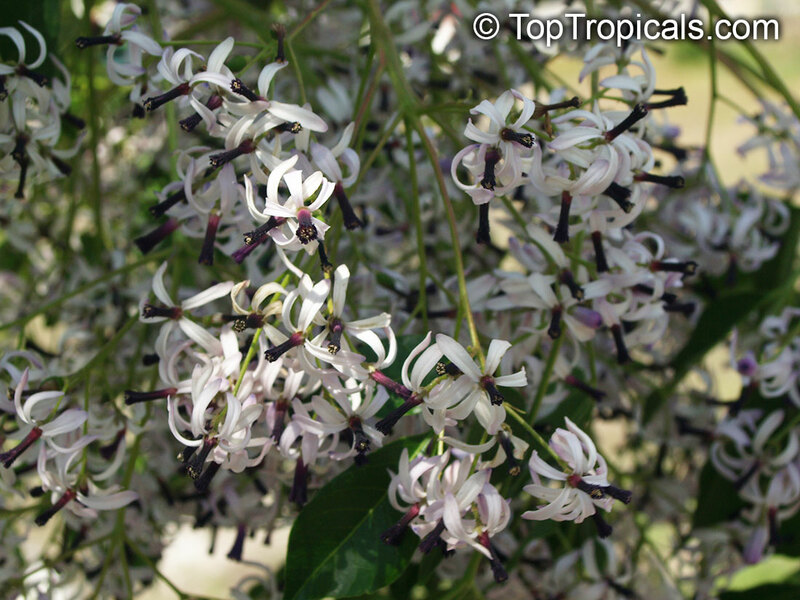 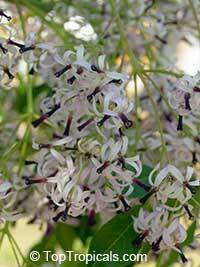 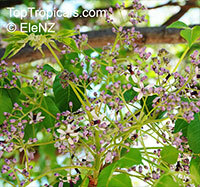 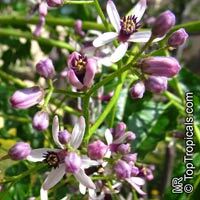 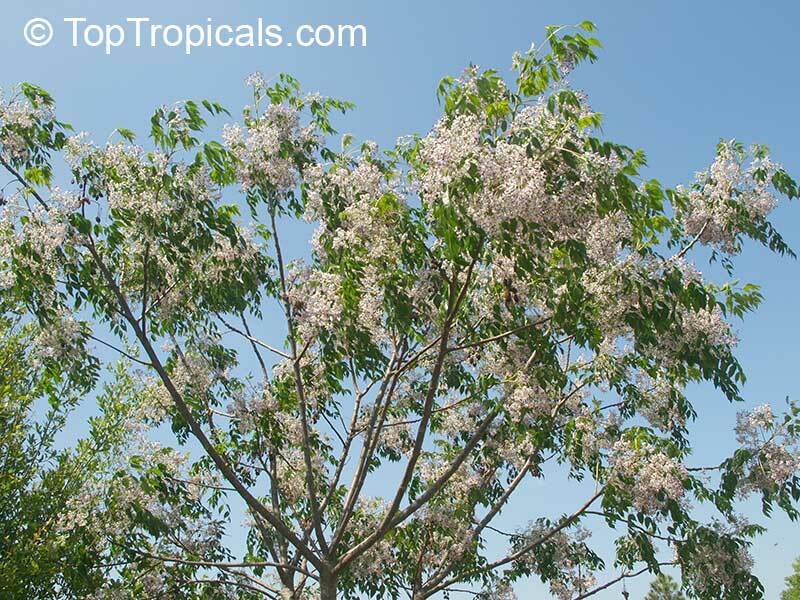 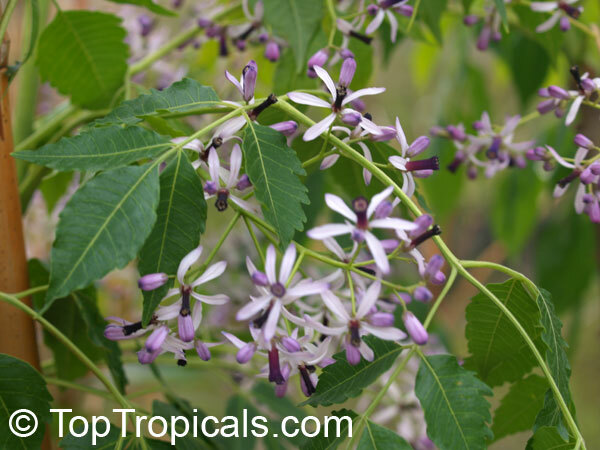 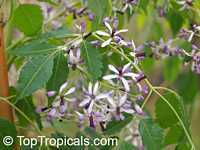 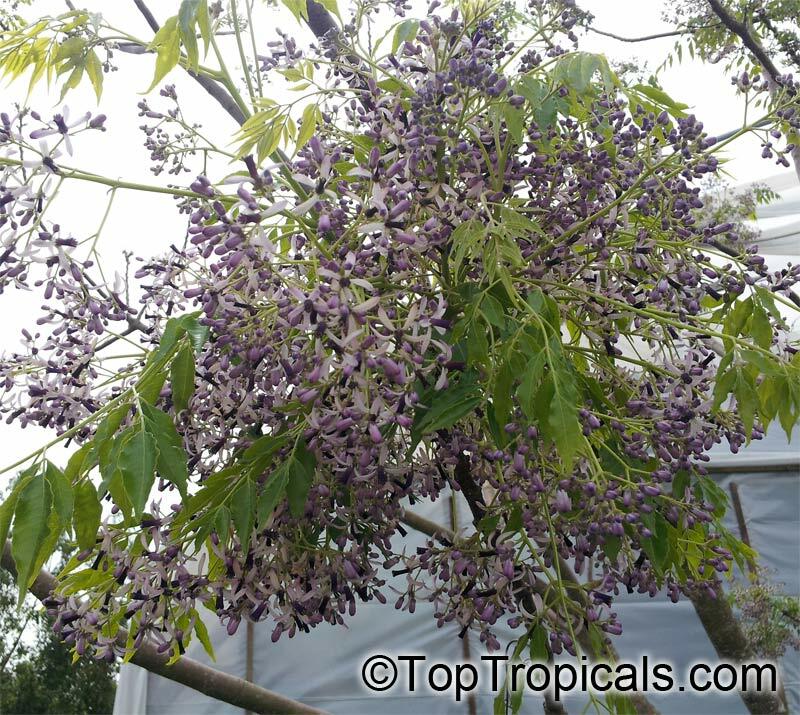 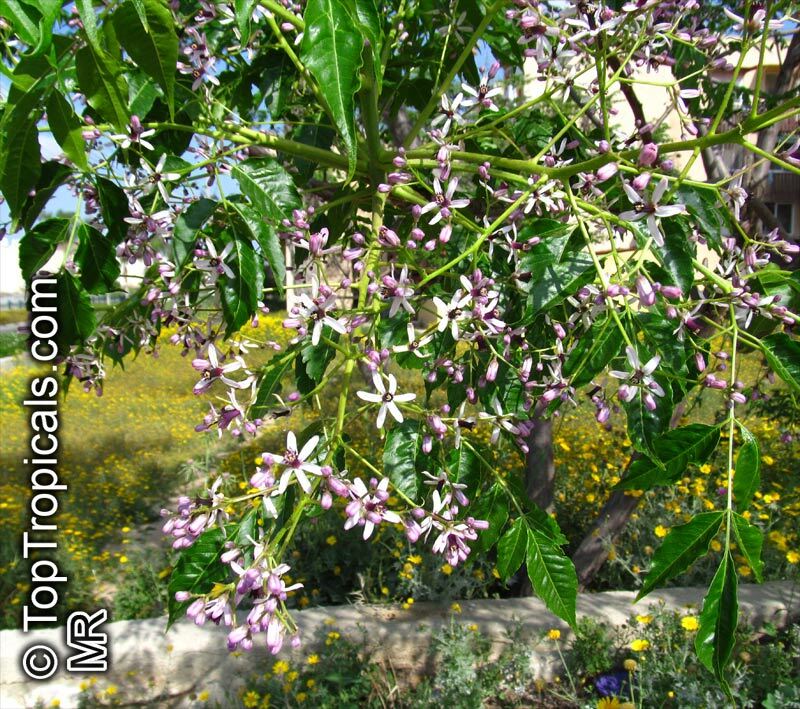 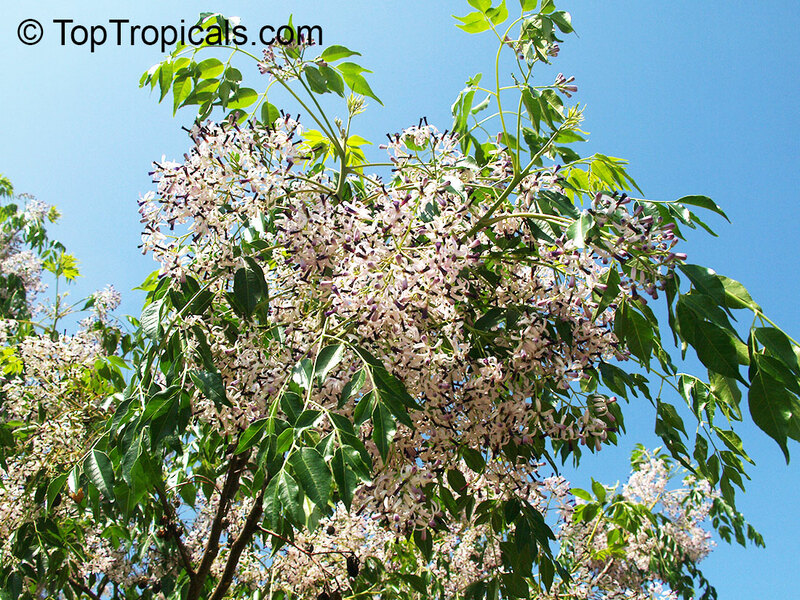 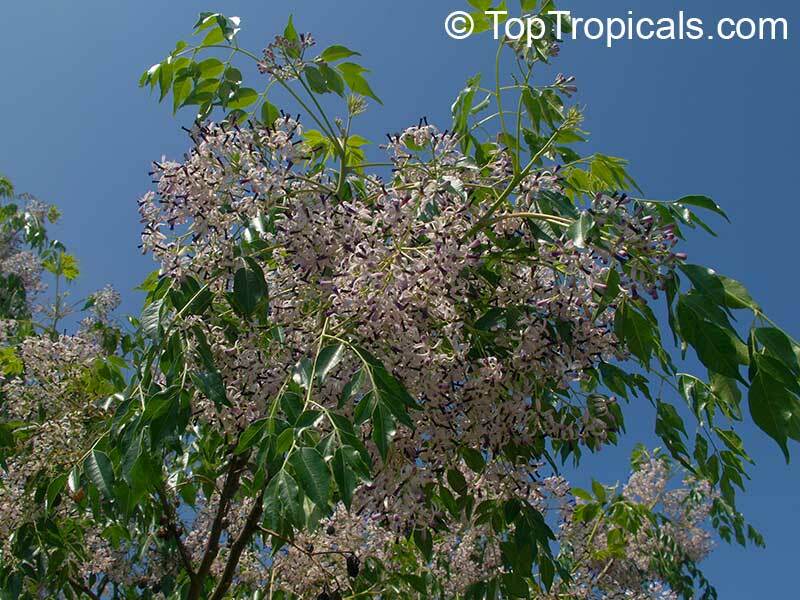 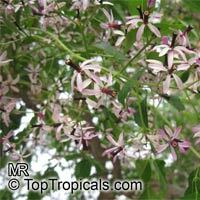 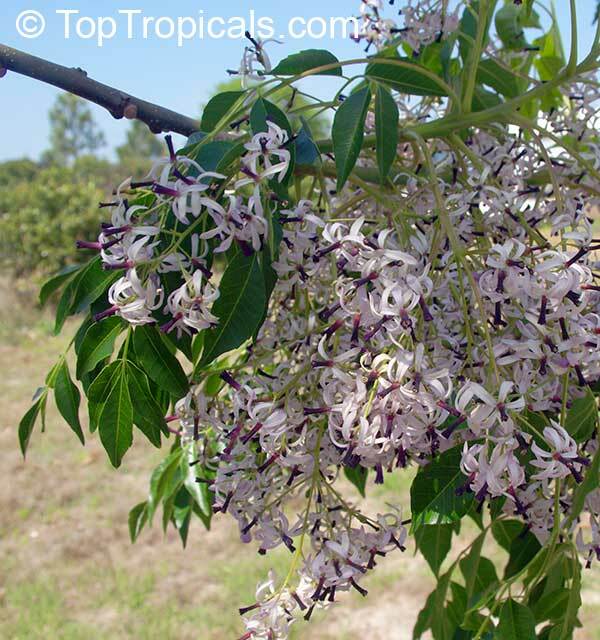 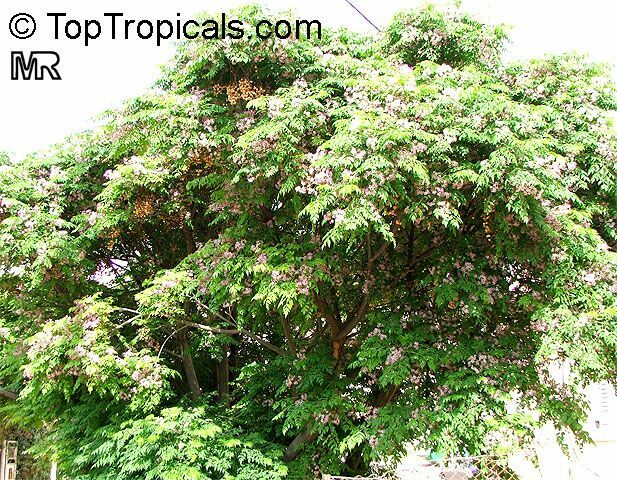 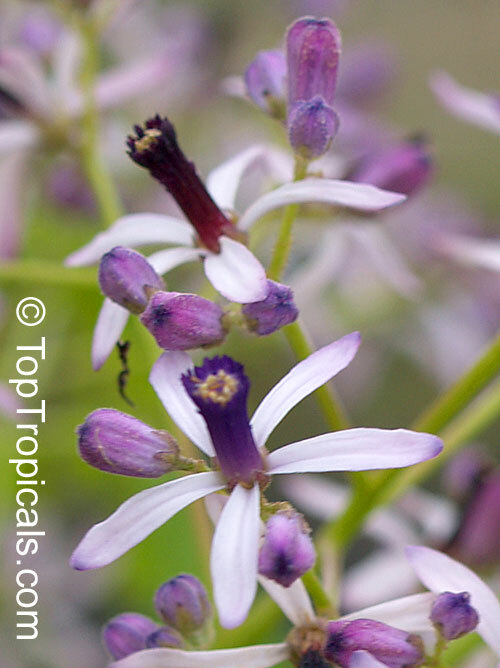 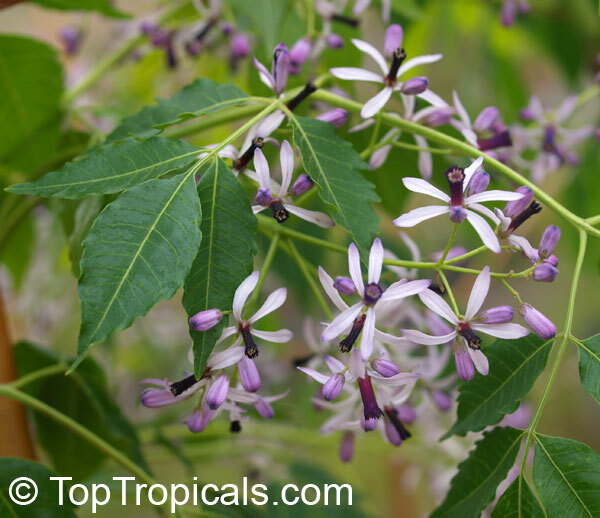 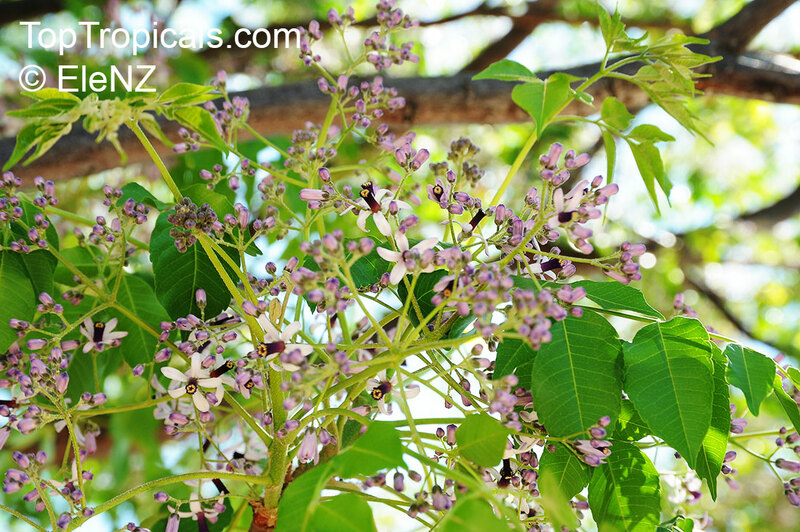 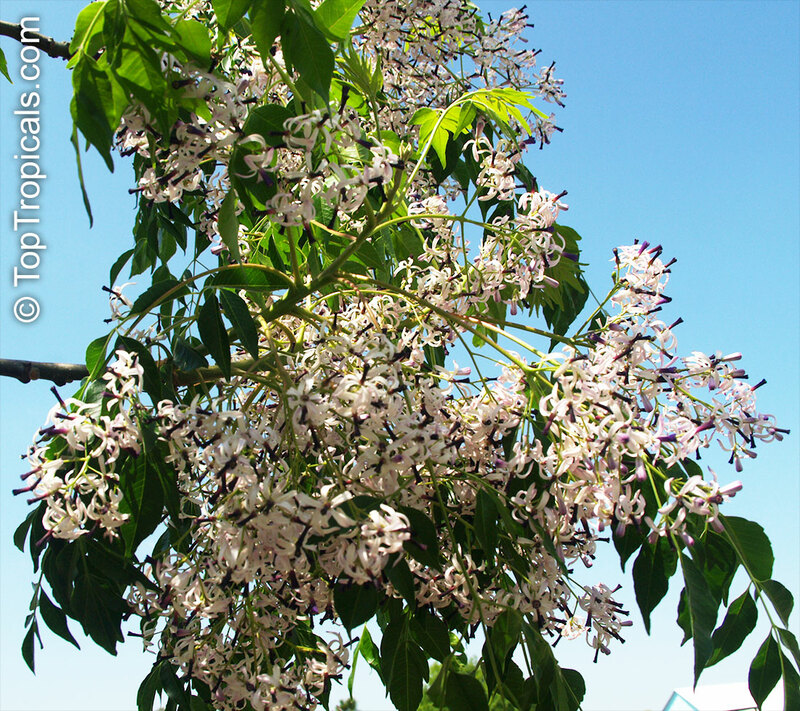 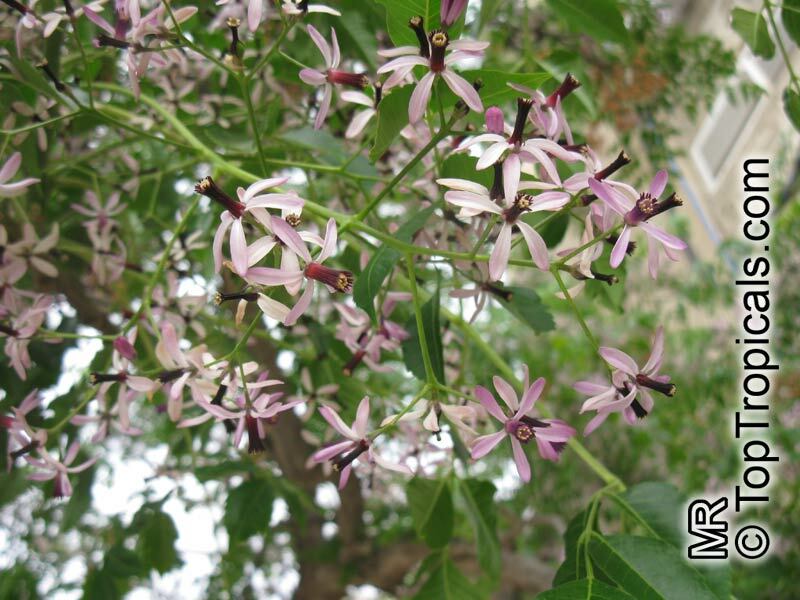 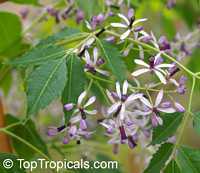 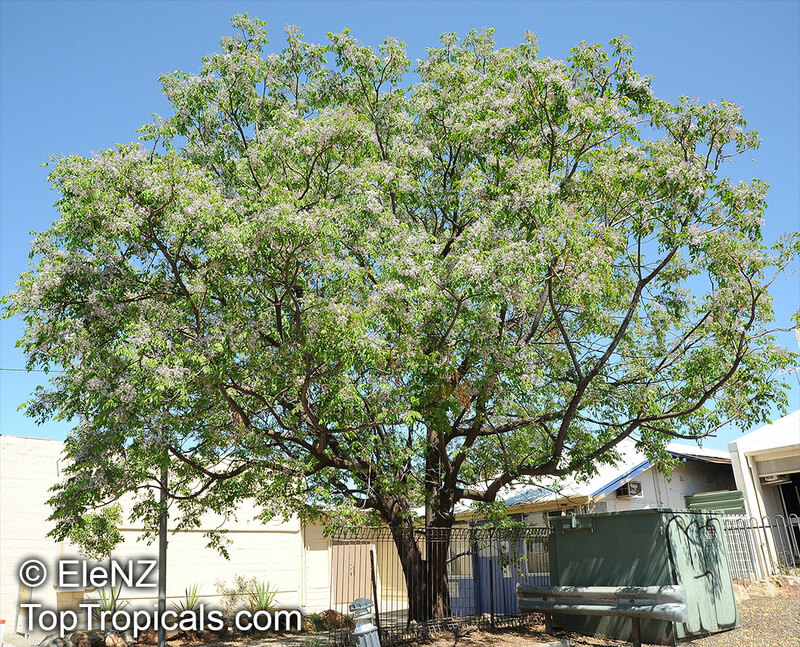 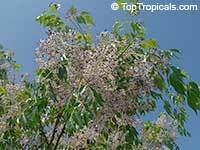 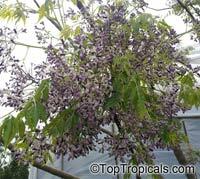 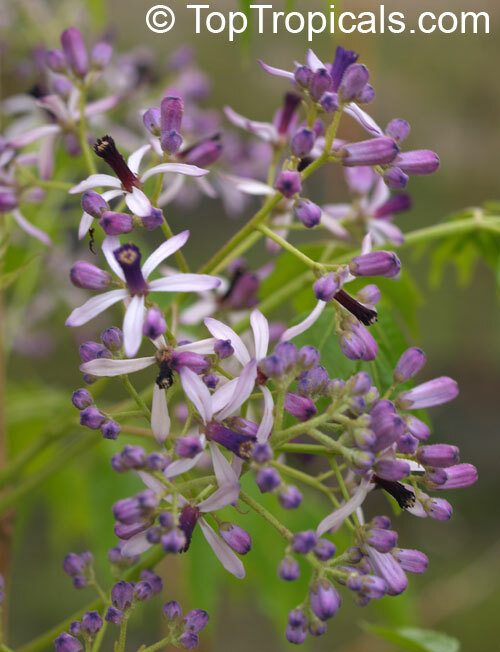 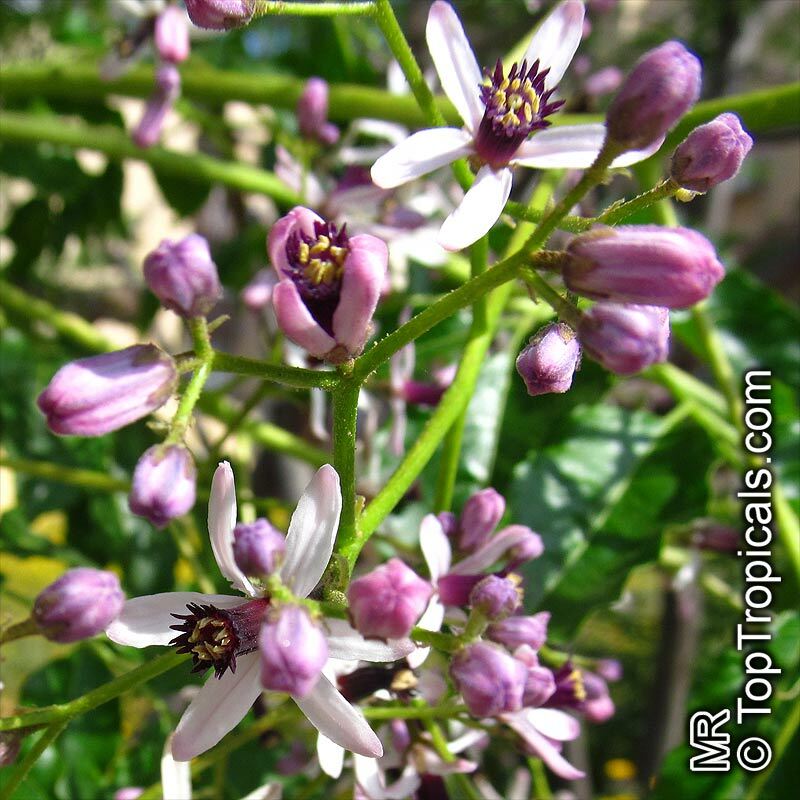 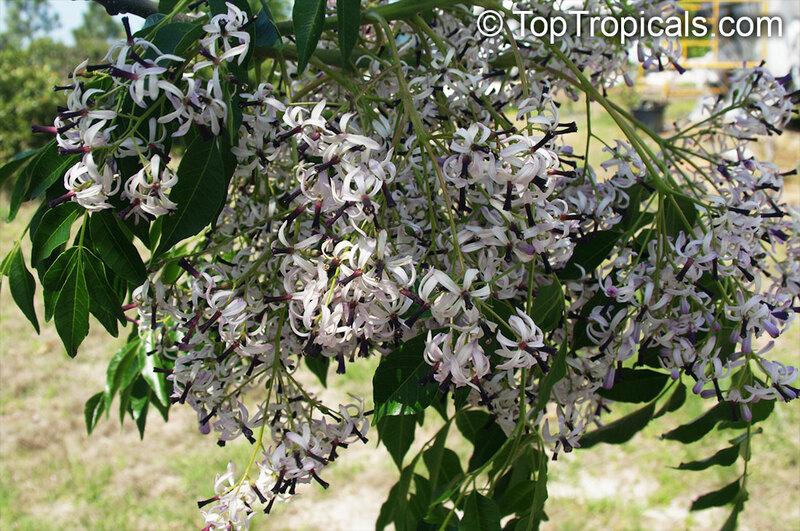 This graceful, fast growing and hardy tree combines a great number of wonderful qualities - beautiful fragrant lilac flowers, fancy foliage, landscape and and medicinal use. 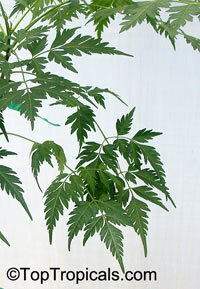 See article about this plant. 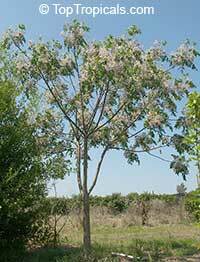 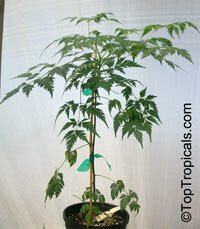 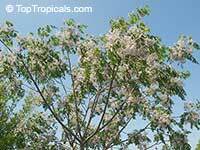 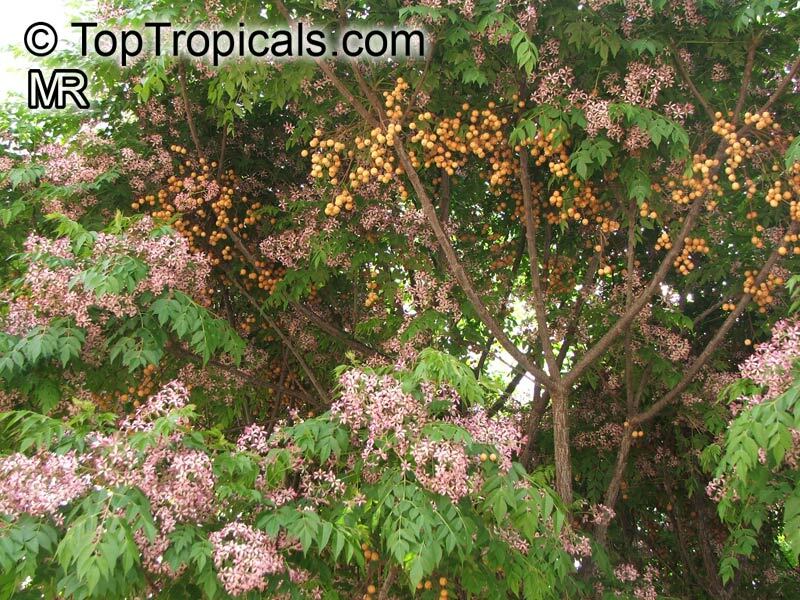 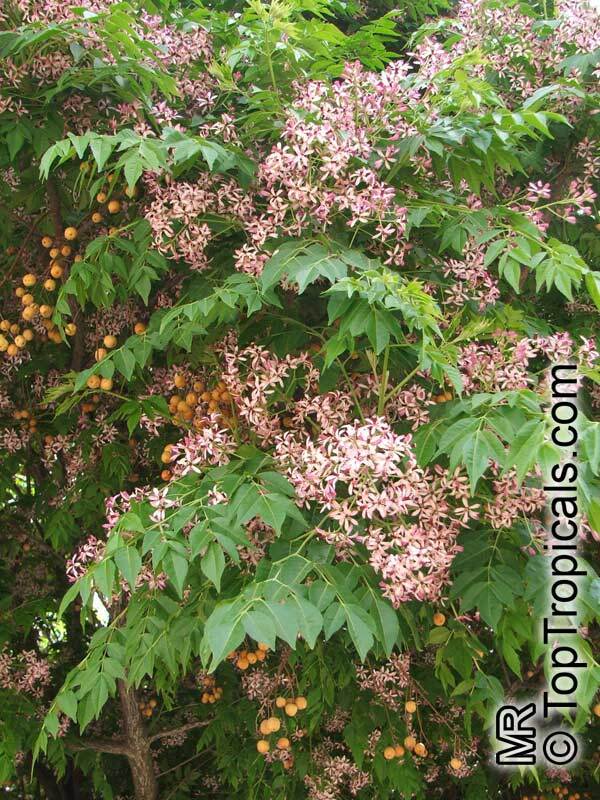 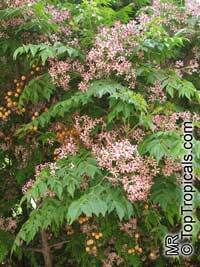 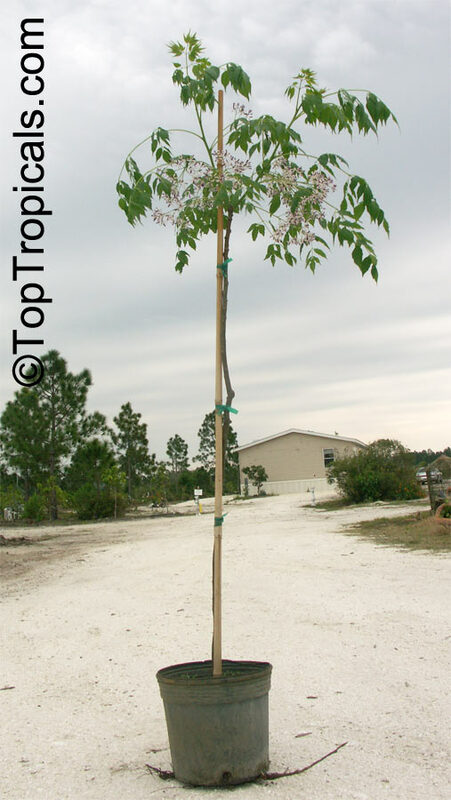 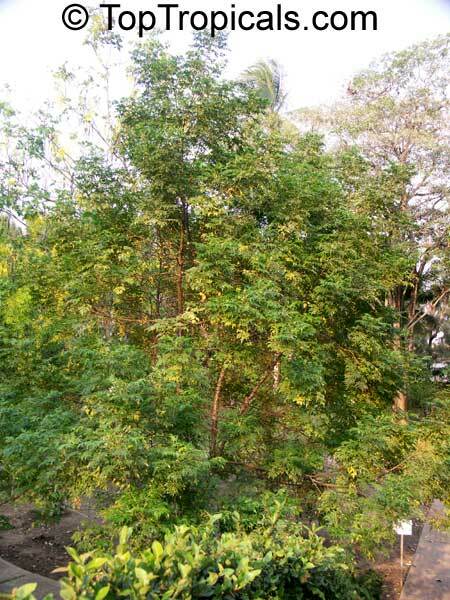 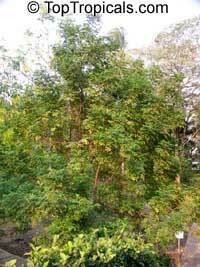 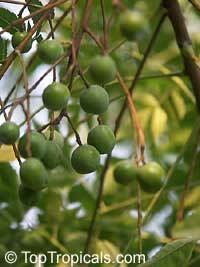 Chinaberry tree. 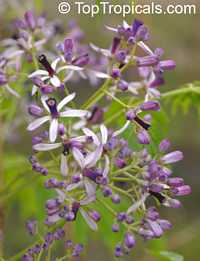 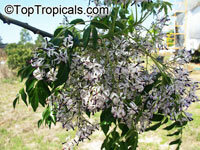 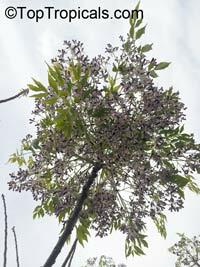 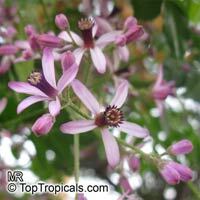 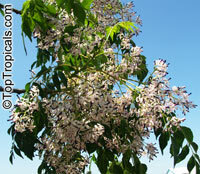 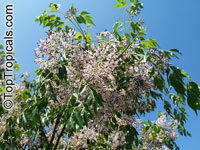 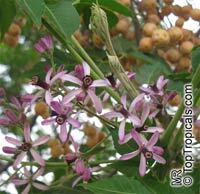 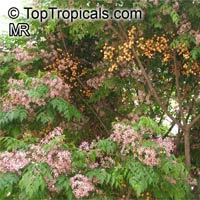 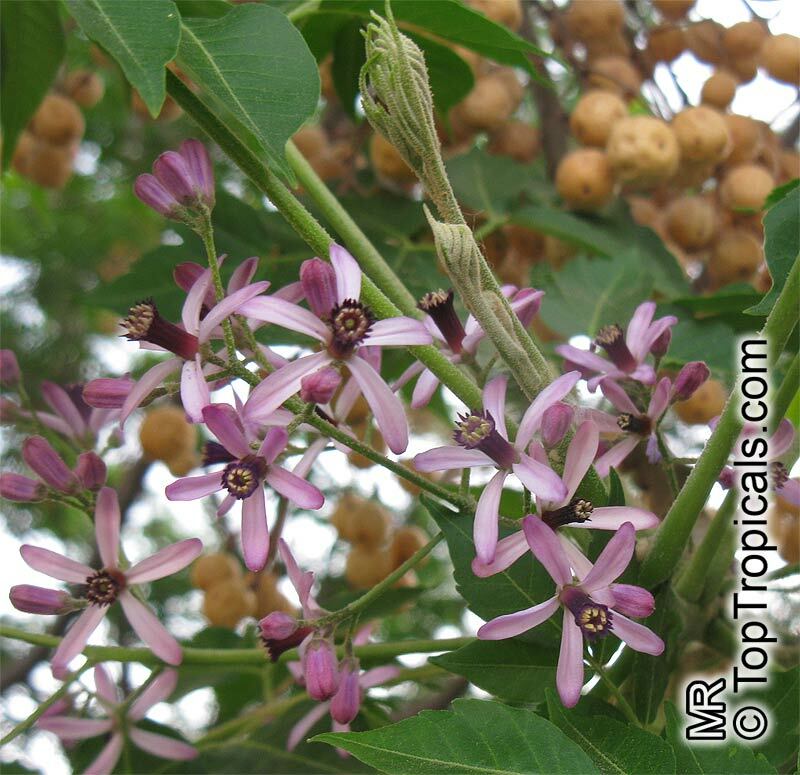 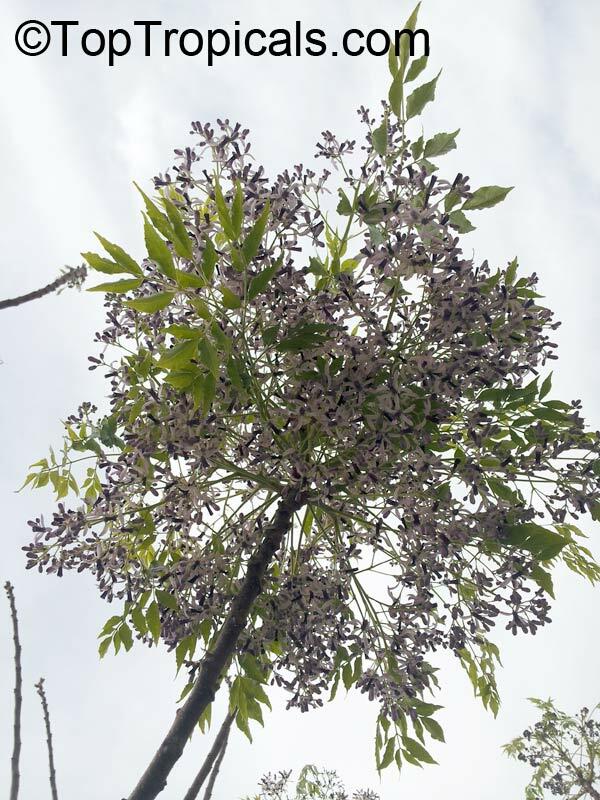 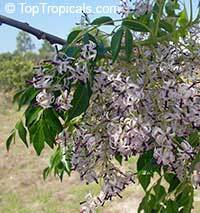 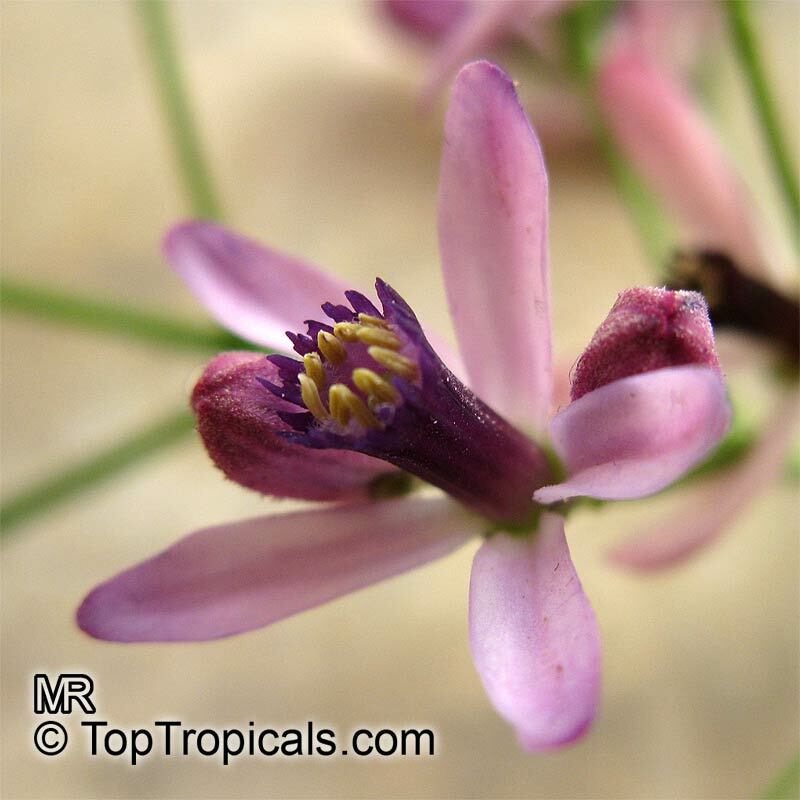 Small tree, with Purple flowers in a loose long cluster, each flower 1/2 to 1 inch across, appearing after the leaves. 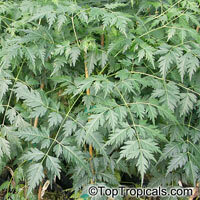 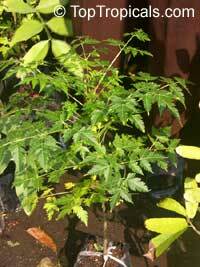 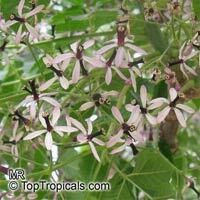 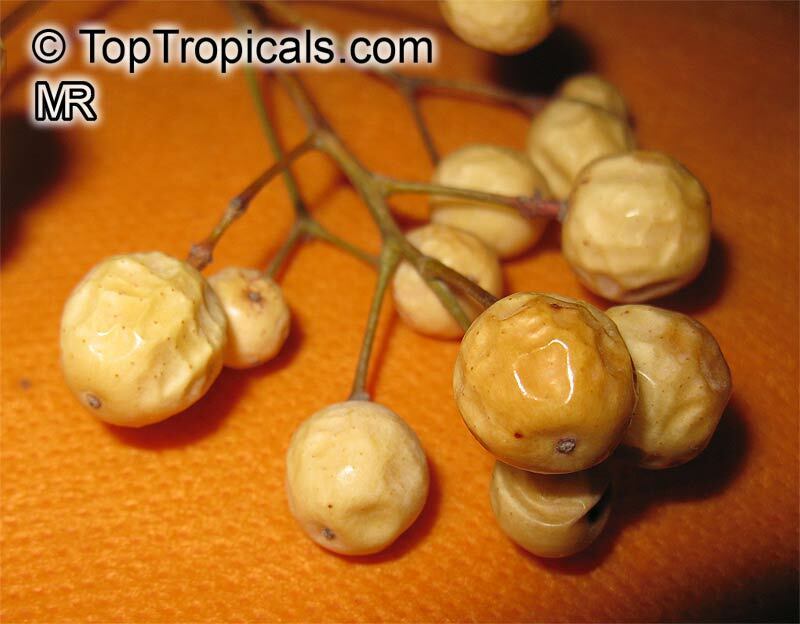 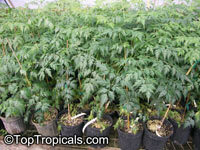 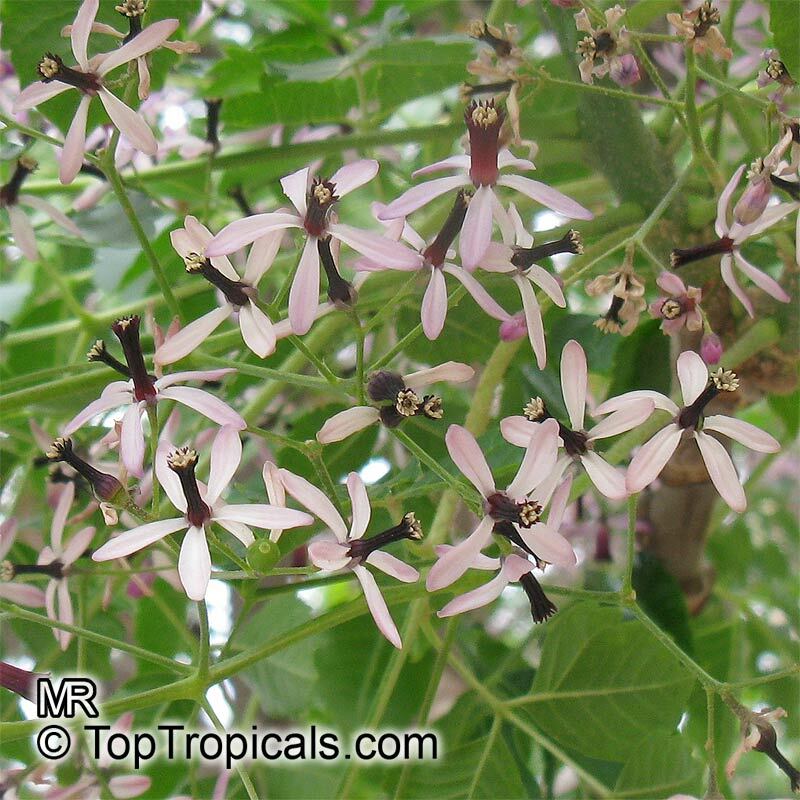 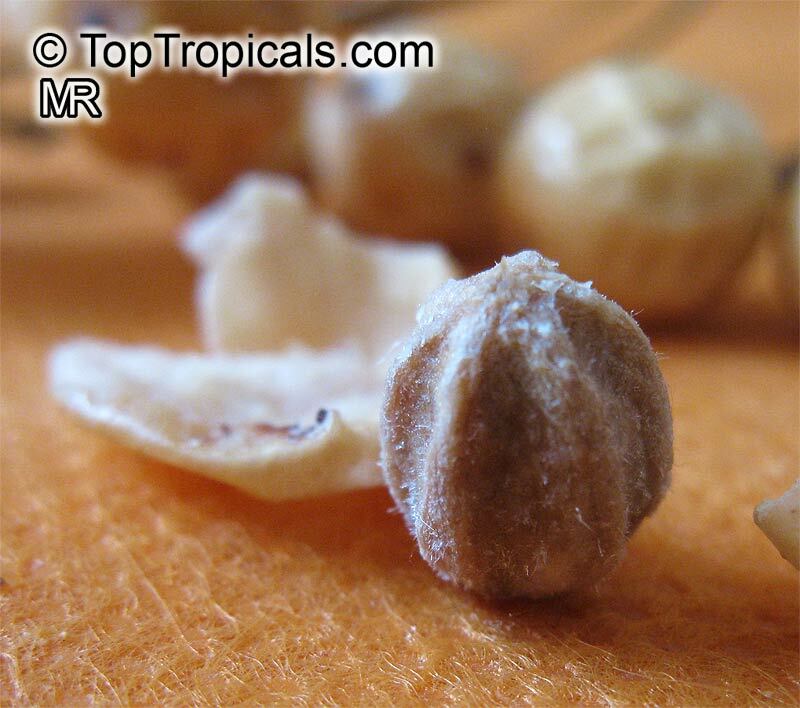 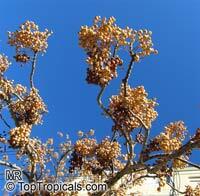 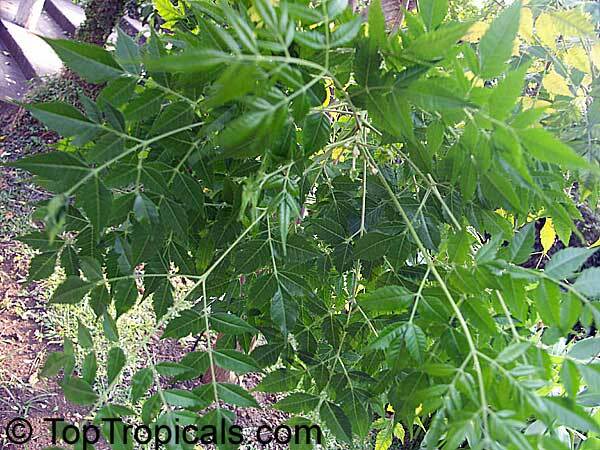 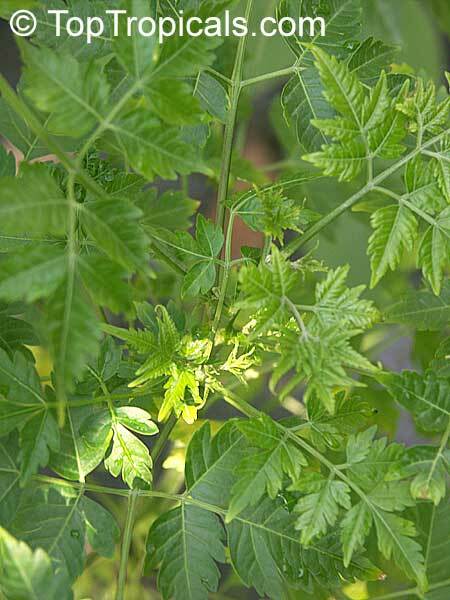 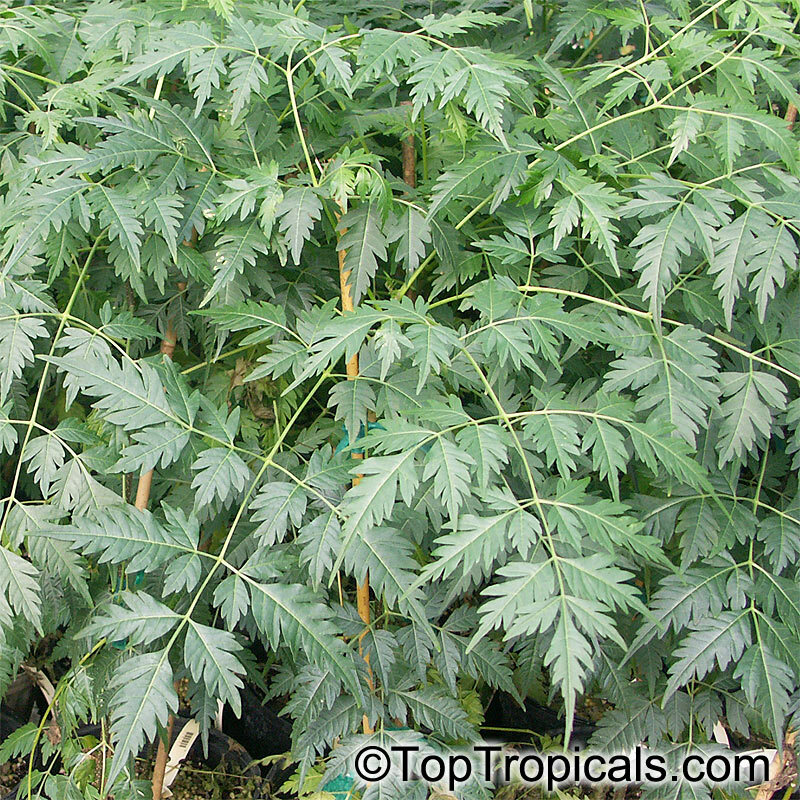 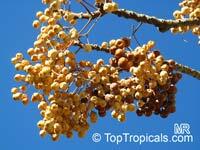 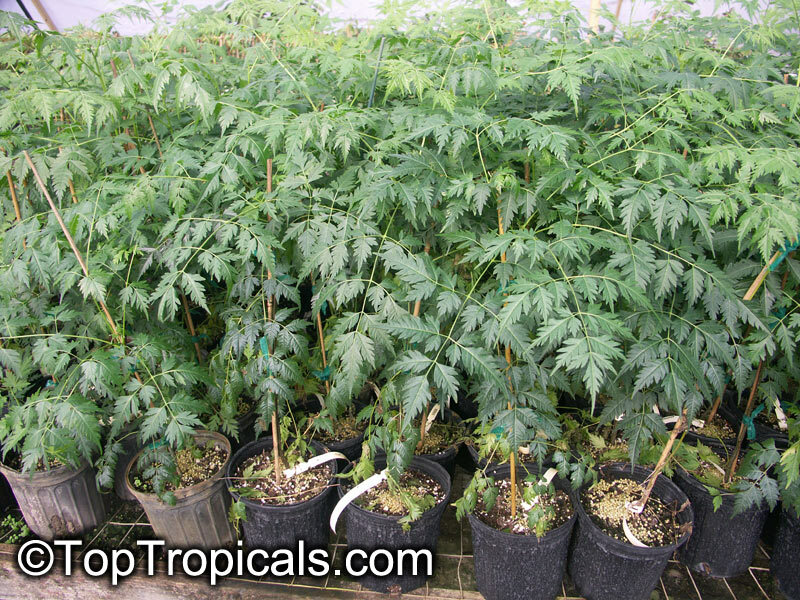 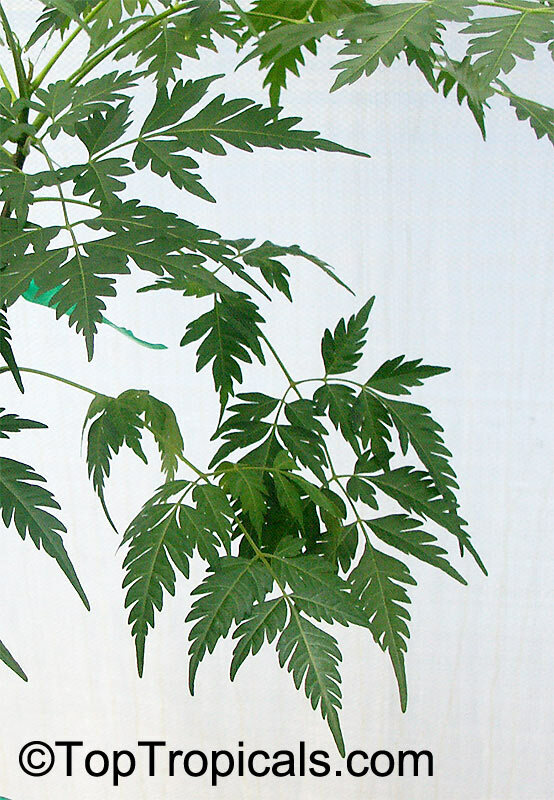 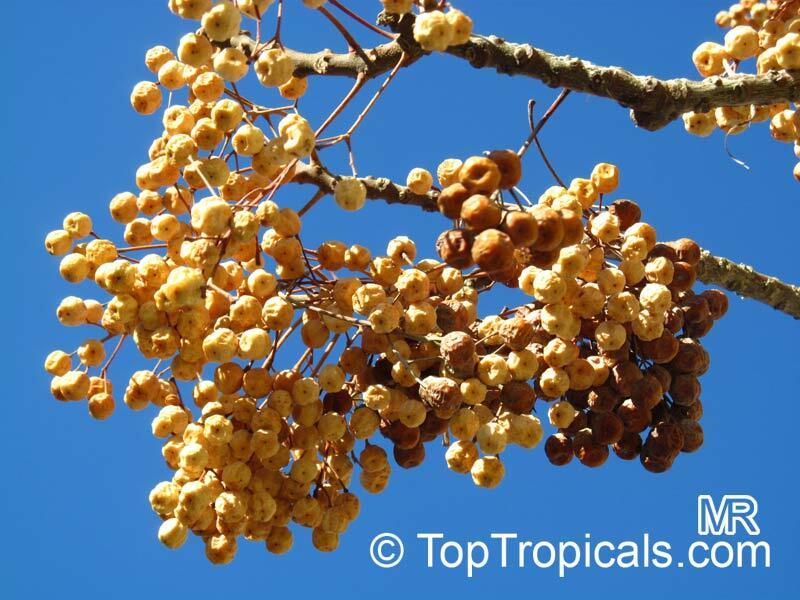 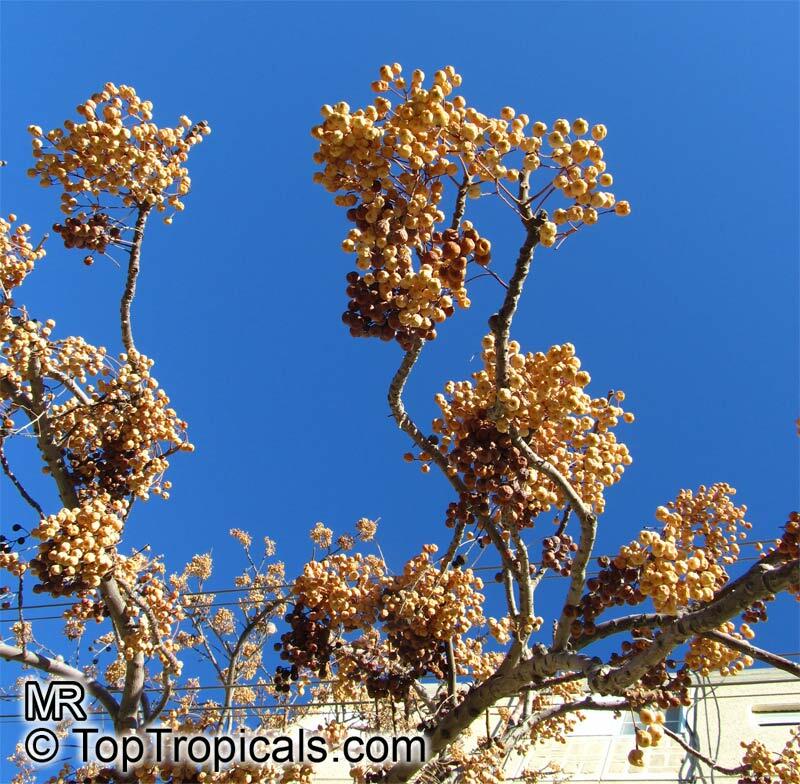 Medicinal applications: bark - and fruit extract is used to kill parasitic roundworms. Can withstand some frost.